I thought we would start my garden blog posts about our garden. 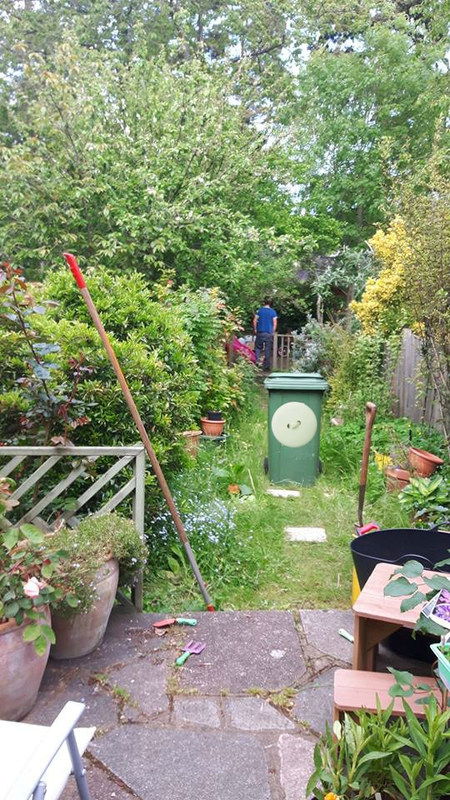 A picture speaks a thousand words so here is a photo of what the garden looked like when we first moved in a few months ago. It's a very narrow garden, about 11ft wide but with the over growing shrubs and trees taking up so much of the garden, it looked even smaller. First job was to remove the shrubs. Just doing this made the garden feel much wider and let light back into the garden. 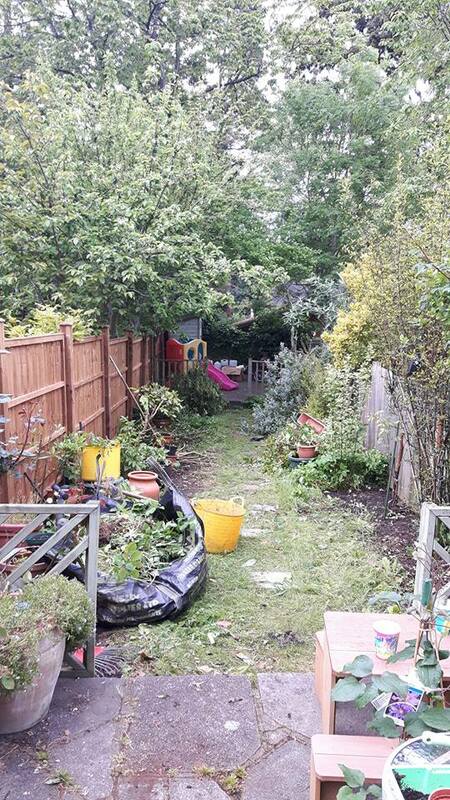 Two big problems remained - the poor condition of the lawn due to the shading caused by the shrubs and lack of previous maintenance and the presence of the very invasive ground elder, which spreads by underground runners its very difficult to get rid of all of them so it'll be an on going battle. The first job was to dig over the areas affected by ground elder in an effort to remove as much as possible. Now to start on the lawn. I removed the old stepping stones because they didn't seem safe for the kids. Then the hard work begins I dug up the lawn using a pick axe which is surprisingly the best tool for the job (more on the many uses of the pick axe later). 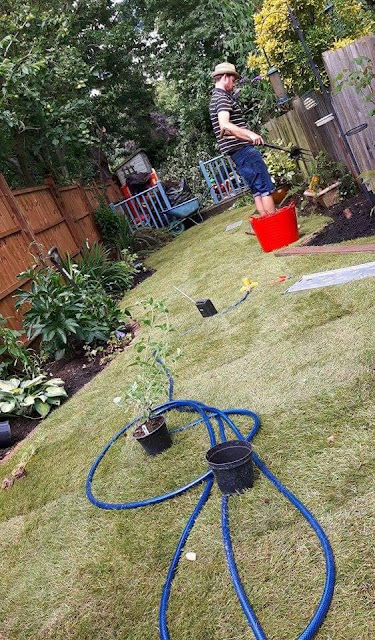 Once the grass had been removed it was time for the whole lawn to be dug over to loosen the soil, then hoed to break up clods of soil and finally raked to make a nice level surface. The correct preparation of the ground is essential but the quality of turf is equally important. When you're buying turf always find out when it was cut! The turf I used was cut on Thursday, delivered to the nursery on Friday and laid on the Saturday so it was very fresh. The turf stacked outside places like Homebase for days on end however is not and therefore the chances of a successful lawn are reduced. I laid the turf so it is staggered like a brick wall and with the edges butting up against each other but not overlapping and the edges cut to size with an old bread knife. Isn't it typical that I've laid this lawn on the weekend that summer has finally started to arrive! That means Mary-Kate will be left with strict instructions to water it a lot during the day using the sprinkler attachment. Wow, what a transformation. Great tip about the grass as well. We're just about to lay ours so that's a very helpful tip.